MEDIATION IS ANOTHER WAY OF RESOLVING DISPUTES BETWEEN PARTIES. In mediation, the parties meet with a neutral mediator to explore solutions and negotiate mutually acceptable resolutions. Mediation allows the parties to consider the fairest and most reasonable solutions. The role of the mediator is to assist the parties in reaching a mutually acceptable resolution of the dispute. If the parties agree, the dispute is resolved. If the parties do not agree, then they are free to pursue their legal remedies. ARBITRATION IS THE MOST TRADITIONAL FORM OF PRIVATE DISPUTE RESOLUTION. Arbitration is a binding procedure. It is a non-jury trial most often administered by a private organization. In arbitration, the parties present their case to the arbitrator who considers the issues, the applicable law and renders a decision. It is adjudicatory as opposed to advisory because the arbitrator (usually a retired judge or attorney) renders a decision at the end of the arbitration hearing and that decision is final and binding, subject only to a very limited court review. Daniel B. 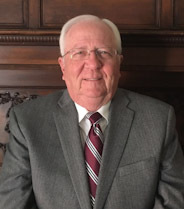 Banks, Jr., has been providing mediation and arbitration services throughout North Alabama since 1995.